Photographers may already be familiar with Pixlr, Autodesk’s browser-based photo editor, and its mobile companion Pixlr Express for iOS and Android. 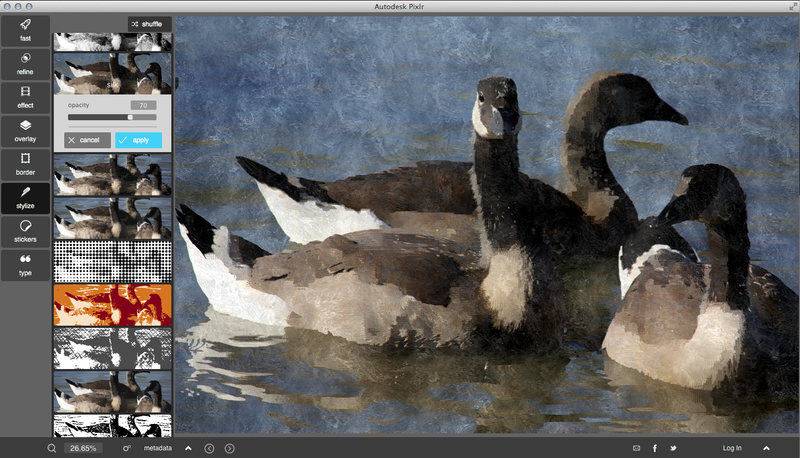 Today, Autodesk announced Pixlr in a new format: a desktop version for Mac and Windows. The new desktop edition offers many of the mobile Pixlr’s extensive collection of tools — such as fun stylize filters that turn your photos into sketches and watercolor paintings. New entries such as a double exposure option and Influence Masks can be used to correct photos, perform advanced edits or create photo-based artworks. The initial free download of the app is a starter edition, which has many features in common with the Web Pixlr Editor and mobile Pixlr Express. A free Pixlr account will open up the software’s Essentials tools, giving you access to additional effects, overlays, and the double exposure feature. A Pro membership grants access to the more advanced masking tools — as well as new features that will be added to the app over time. Because the new version uses your desktop or laptop’s more powerful operating system, this new version of Pixlr can offer more advanced features such as high resolution output, complete preservation and presentation of image metadata, the use of any font on your system and blending modes for composites and special effects. Stylize feature creates painterly effects. Autodesk has added new effects for all three versions, and plans an ongoing program of additions for Pro users, the company said. 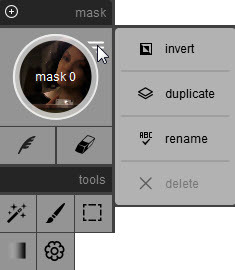 Influence Mask, for Pro users only. 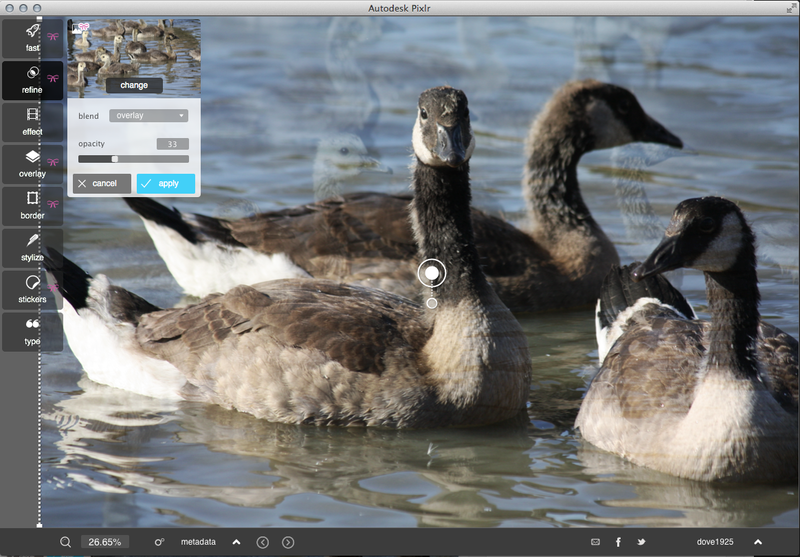 You can install the desktop Pixlr for Mac and Windows from Autodesk’s website or download directly it from the Mac App Store. Taking a page from Adobe’s playbook, the Pro version is being offered as a subscription of $1.99 per month or $14.99 per year. The app works with Windows 7 (32-bit, 64-bit) and Windows 8 (32-bit, 64-bit) and Mac OS X 10.9. The company has produced a series of instructional videos to help newcomers get started.